4G Cellular is Here. Should You Care Now? 4G cell phone networks are not coming – they're here. But is all the hubbub over 4G worth your attention right now? If you're in the market for a smart phone or a cellular modem for your laptop, the answer is "Yes." Data cards for laptops are available now. And soon, you'll be able to buy a 4G smart phone that can double as a mobile hotspot to provide wireless Web access to laptops and other wireless devices, engage in mobile video chat and download and upload high-definition footage such as movies and HD footage you shoot with the cell camera–all at speeds rivaling your home broadband. 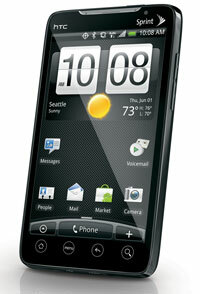 Recently, Sprint introduced the first-ever 4G handset, the HTC EVO 4G. Sprint says its 4G WiMAX service is currently available in 27 markets, and will grow to 44 markets covering 120 million potential 4G subscribers by the end of this year. Sprint is being as aggressive as it can to establish itself as the 4G leader because Verizon and AT&T have a competing 4G network called LTE (Long Term Evolution). T-Mobile is still building out its 3G network and has not announced any 4G intentions. By the end of this year, Verizon is expected to deploy its 4G LTE network into 25 to 30 markets, covering 100 million potential wireless data users, with AT&T expected to follow in 2011. What's the difference between WiMAX and LTE? Just like we have two different cellular technologies today in the U.S.–GSM used by AT&T and T-Mobile and CDMA used by Sprint and Verizon–WiMAX and LTE will co-exist and interopterate in the same way as different cell phones do today. Your choice of 4G carrier will largely be based on coverage in your area. In the U.S., WiMAX uses the 2.5 GHz spectrum, which technologists believe requires more cell towers than the 700 MHz band in which both Verizon's and AT&T's network operate. However, there are persistent but unconfirmed rumors that Sprint is partnering with Wal-Mart for expanded WiMAX tower locations, so stay tuned. If you travel globally, LTE will most likely be your best option.